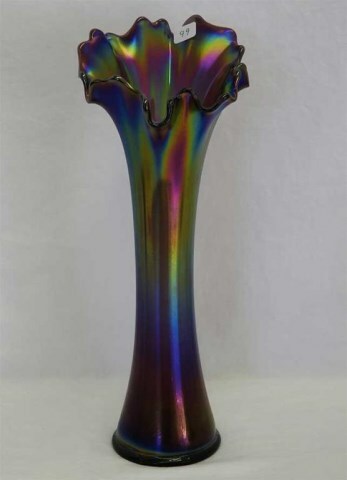 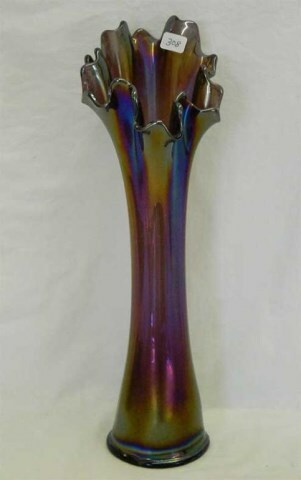 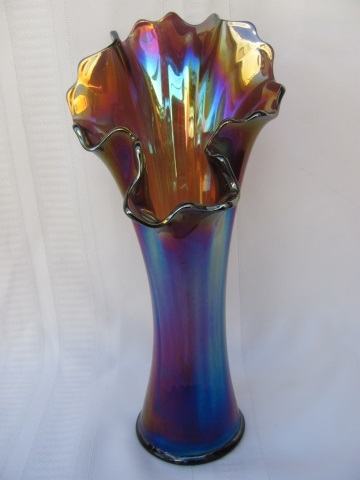 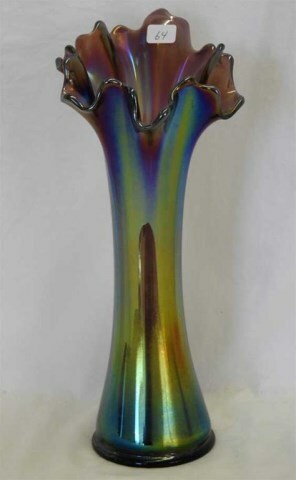 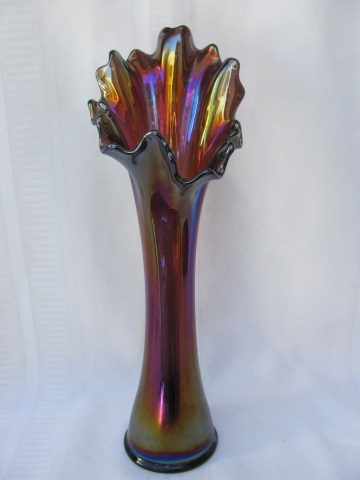 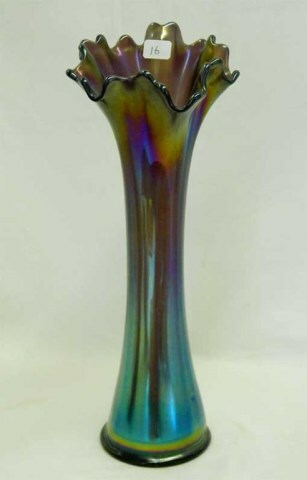 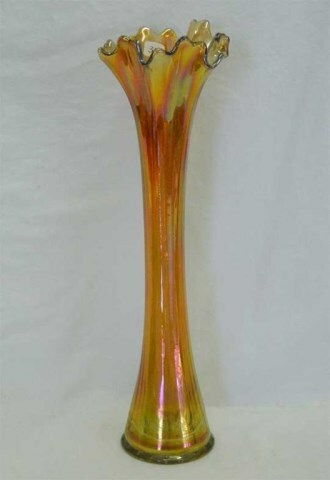 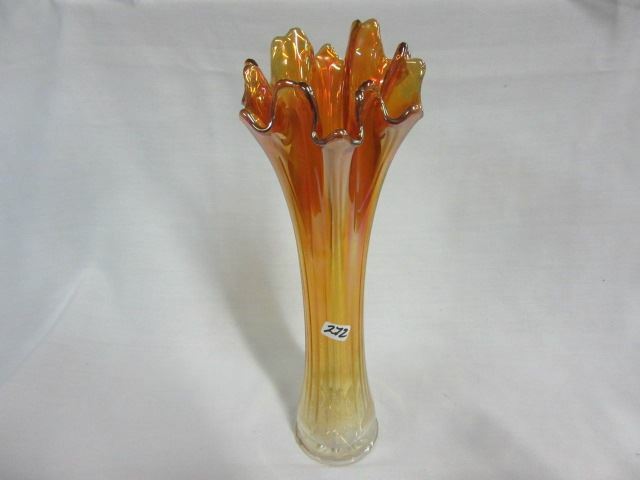 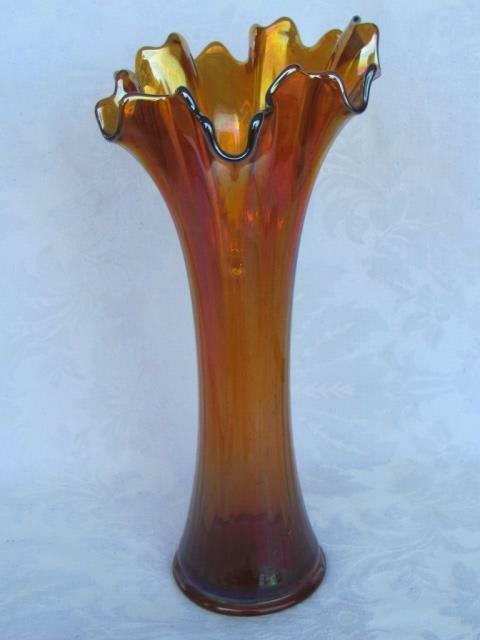 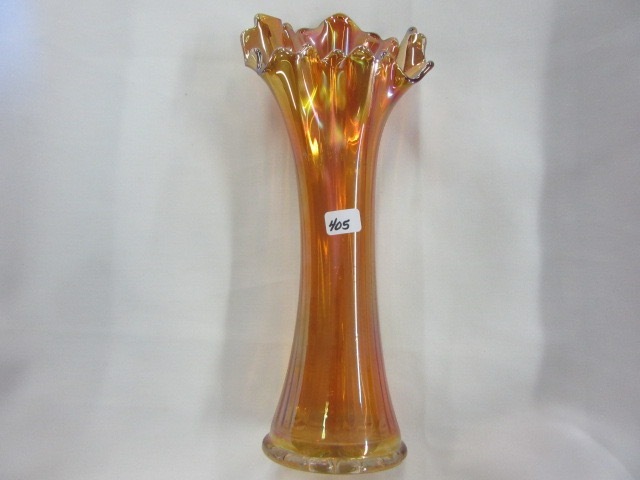 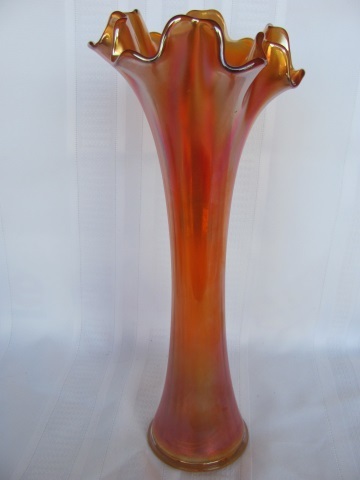 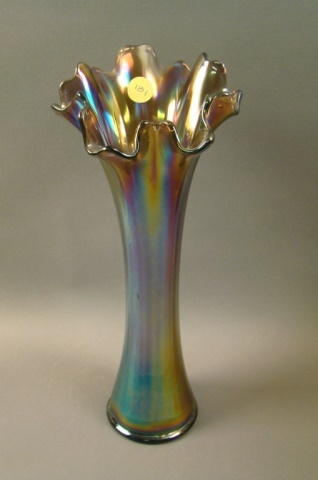 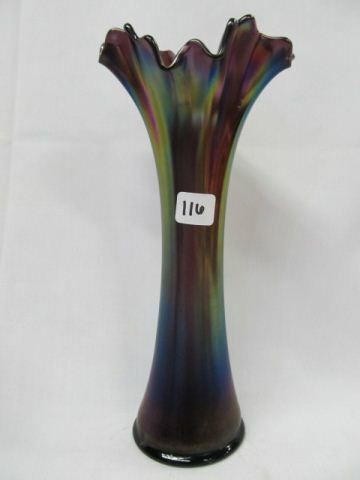 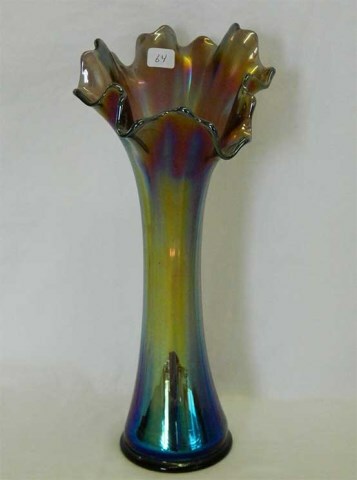 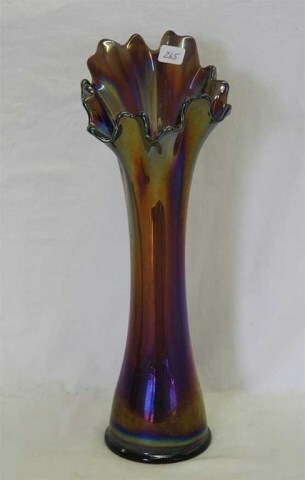 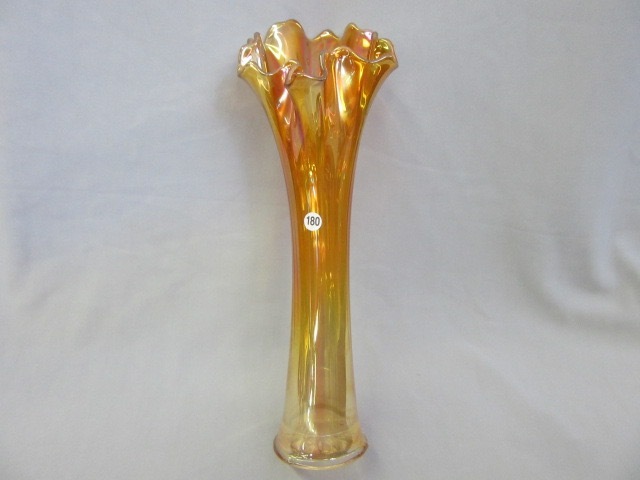 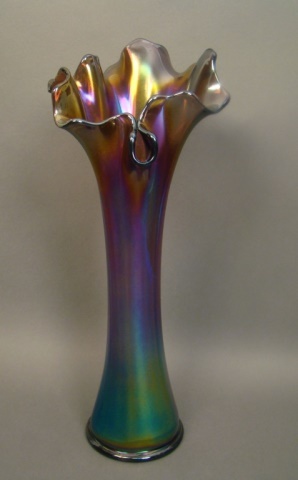 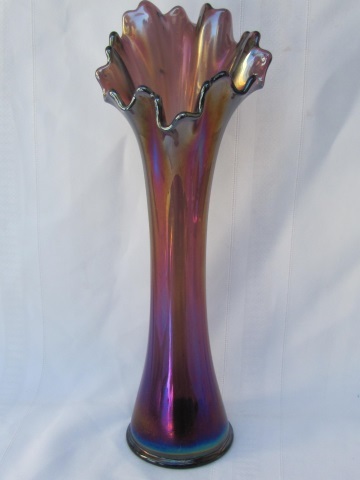 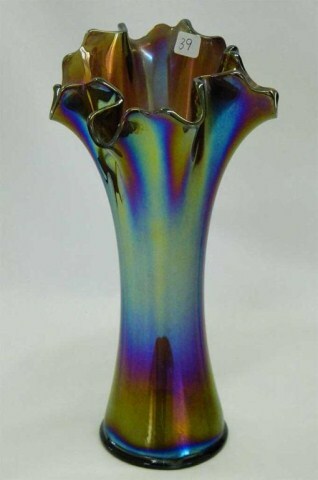 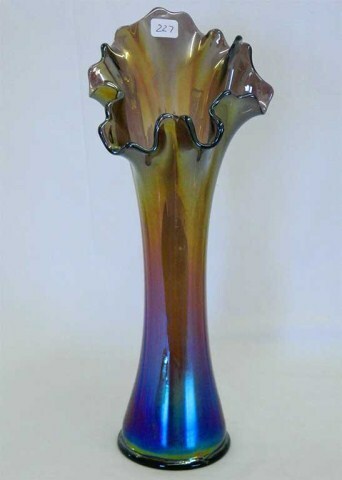 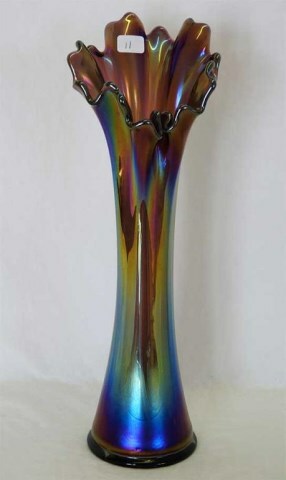 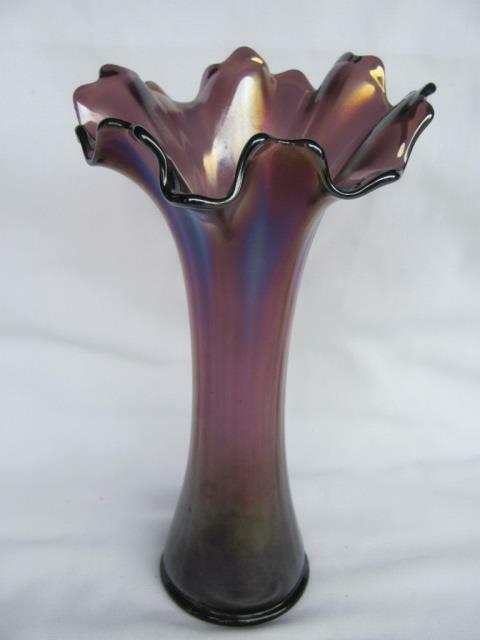 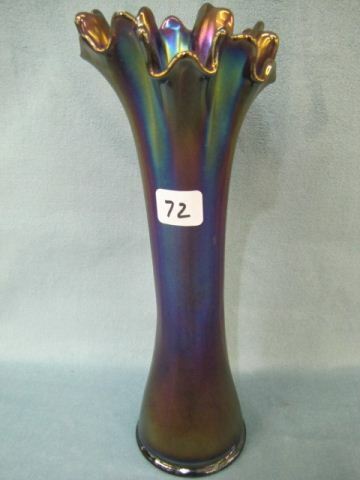 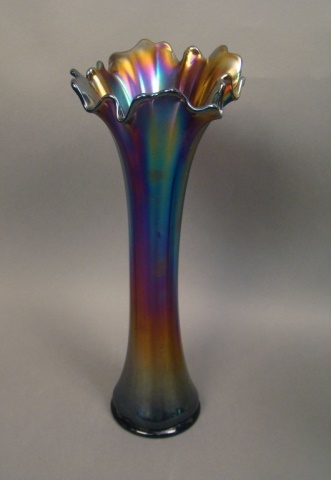 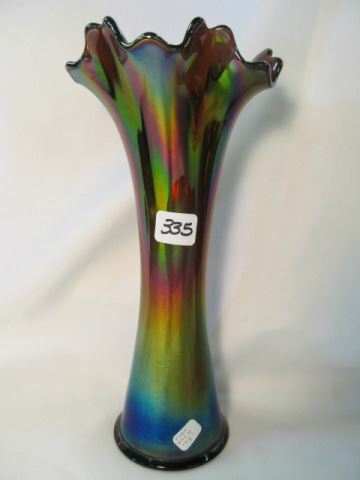 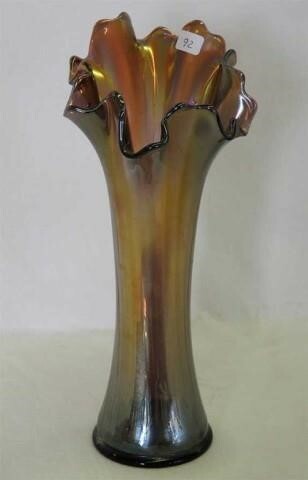 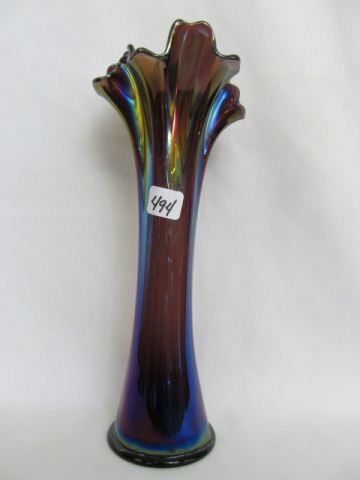 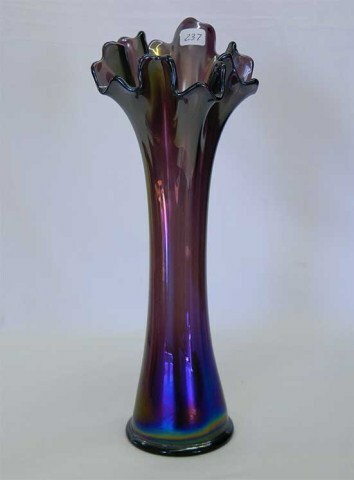 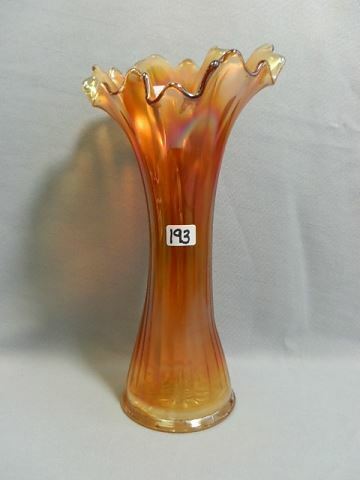 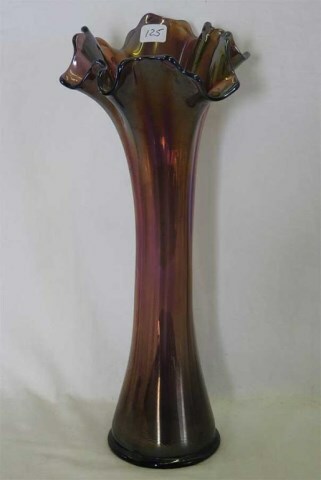 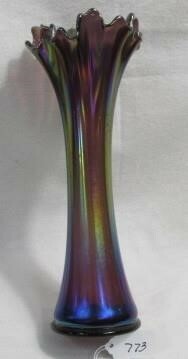 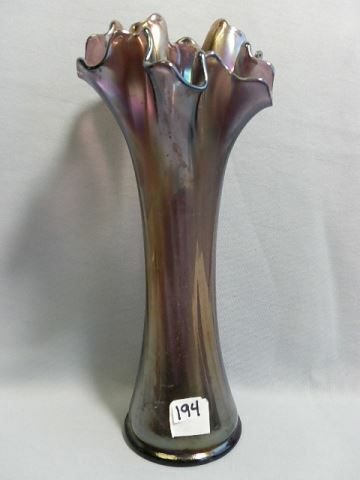 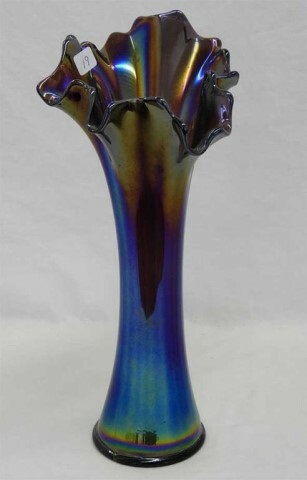 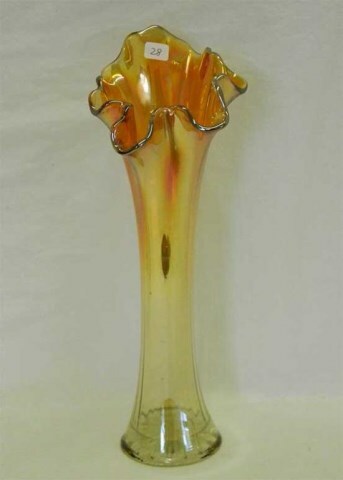 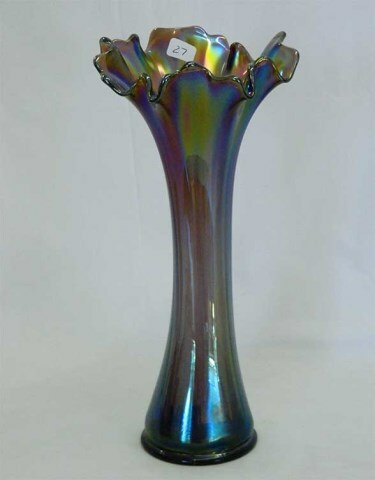 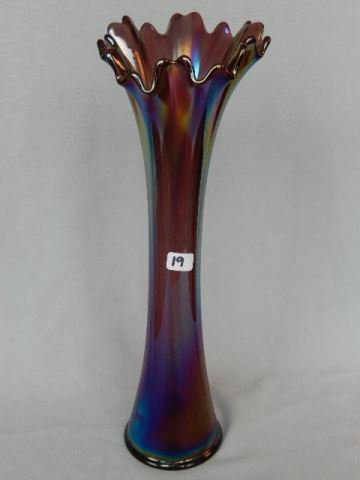 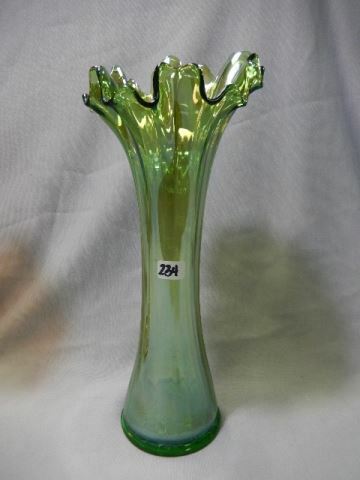 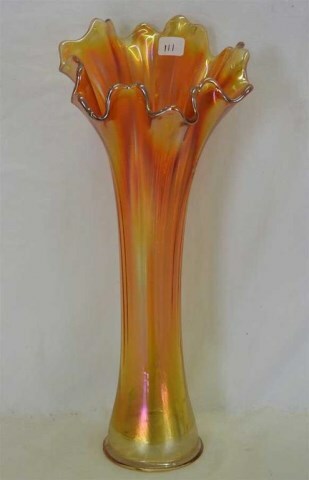 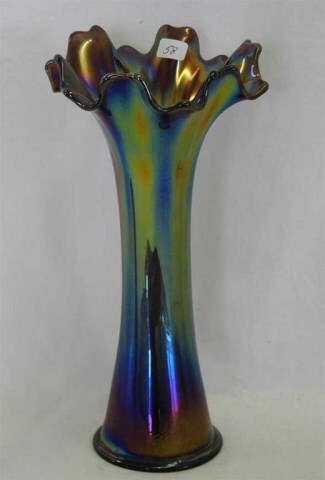 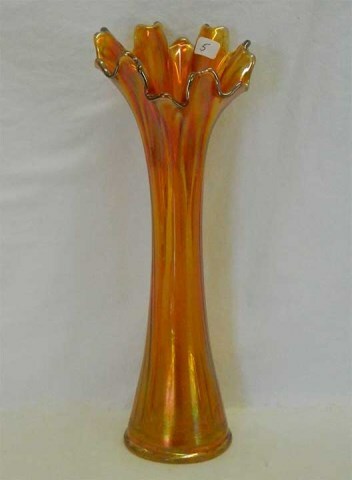 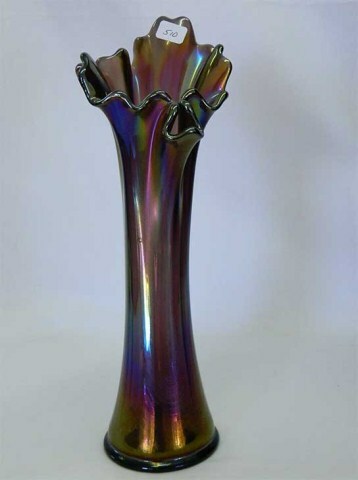 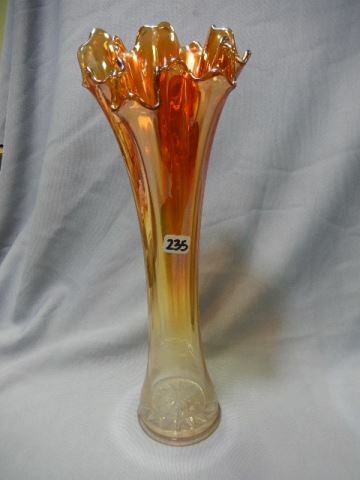 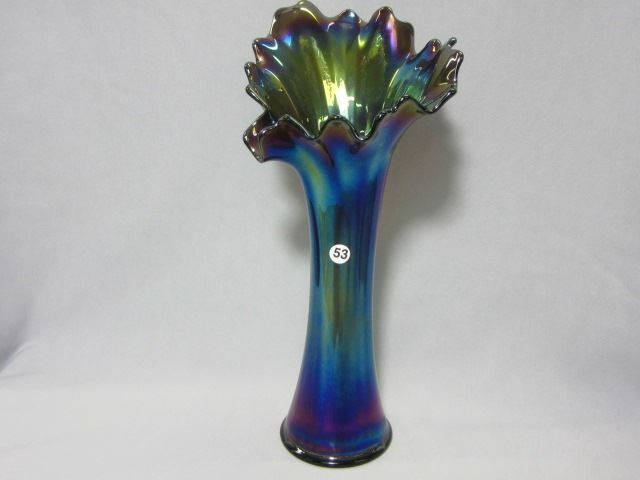 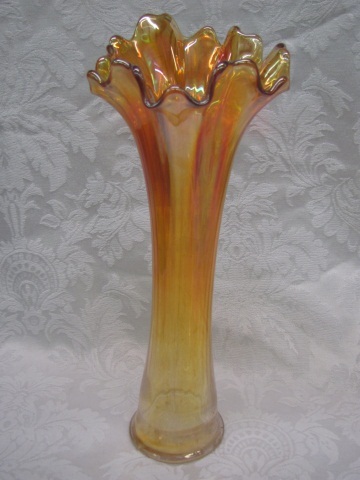 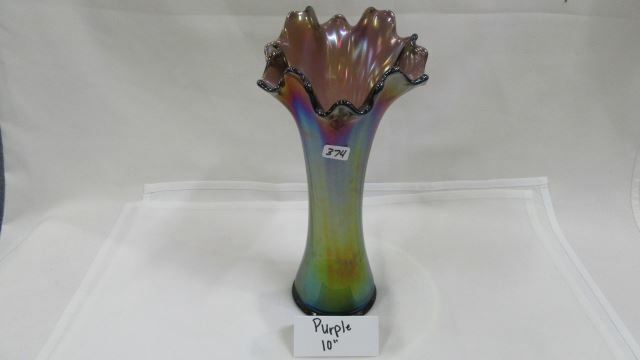 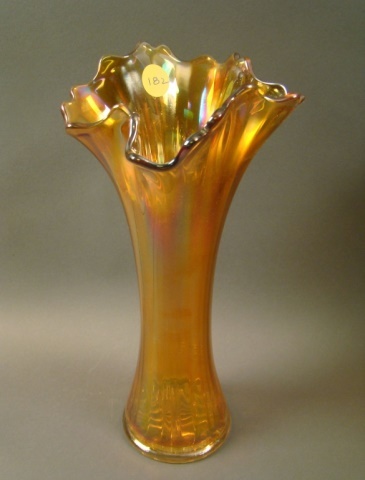 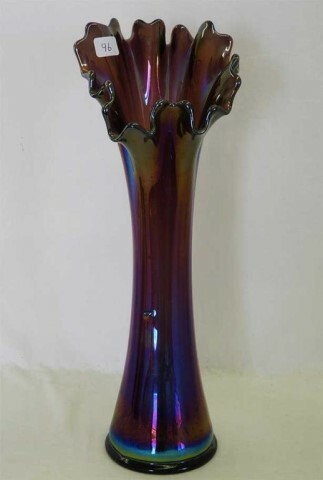 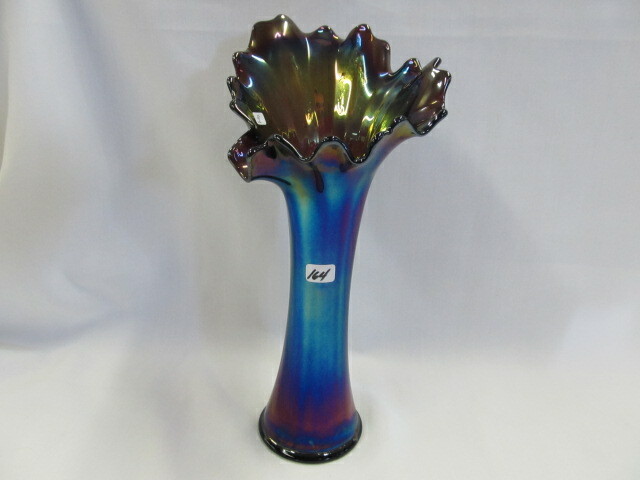 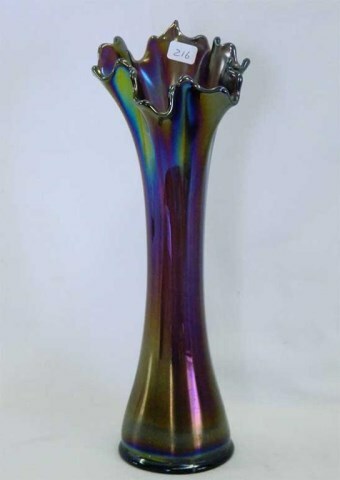 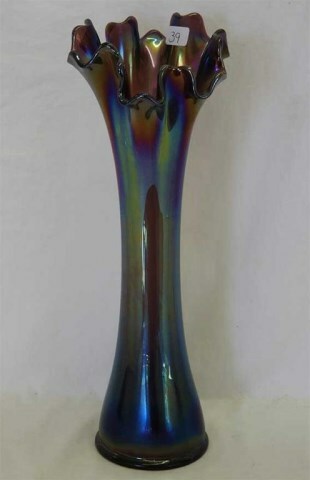 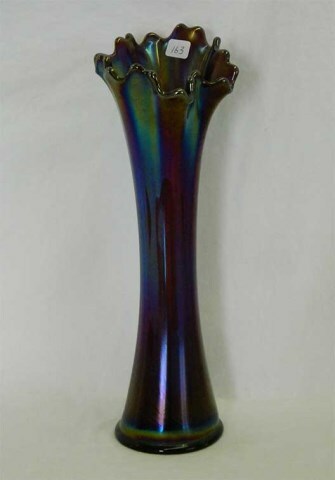 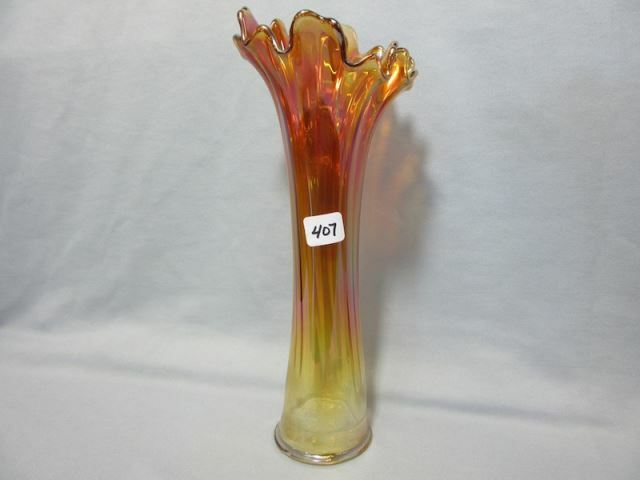 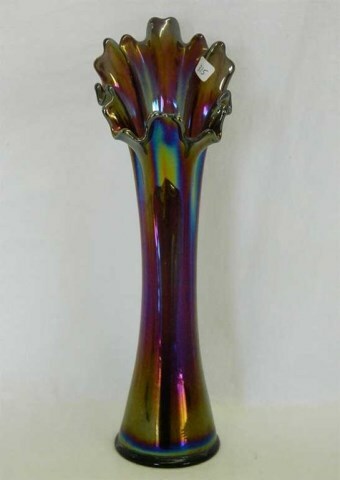 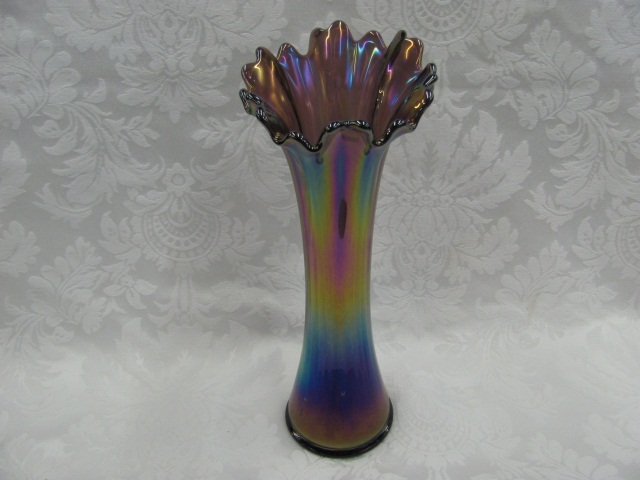 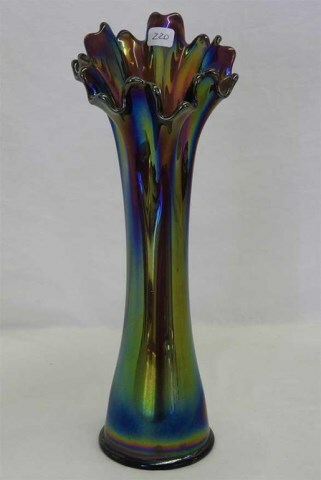 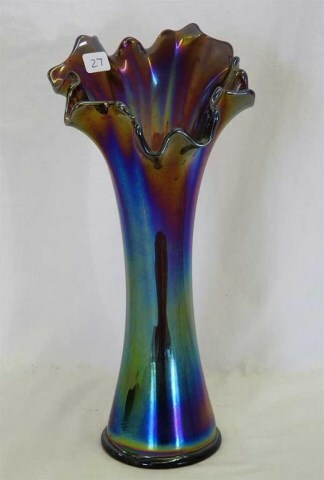 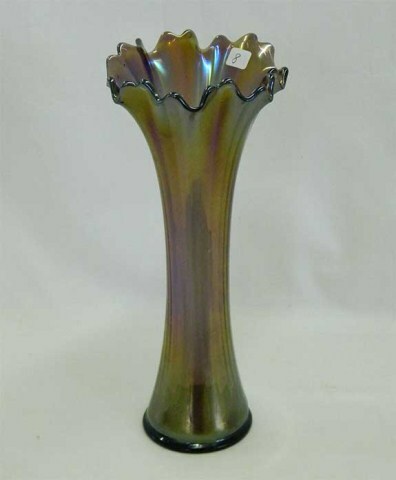 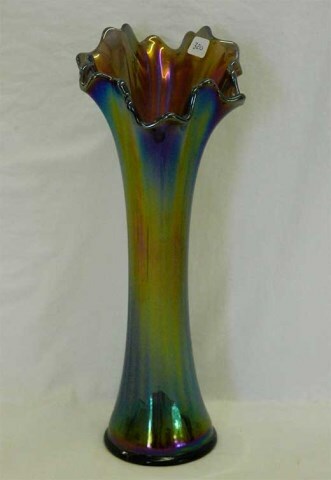 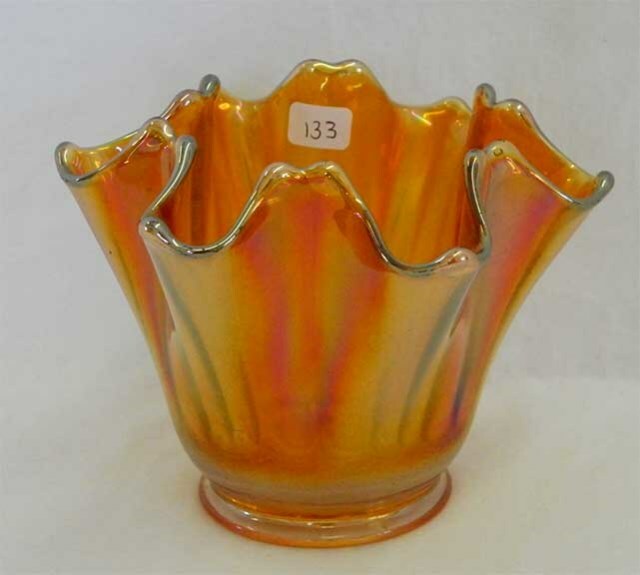 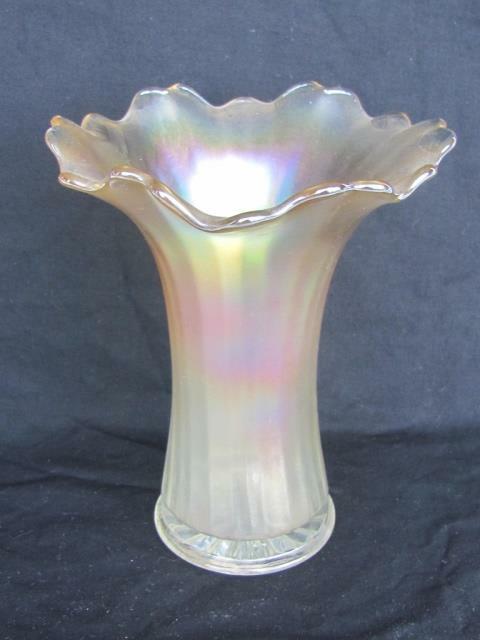 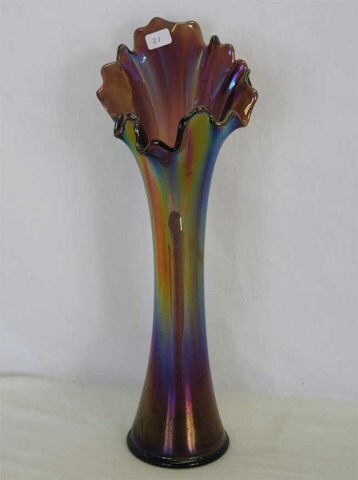 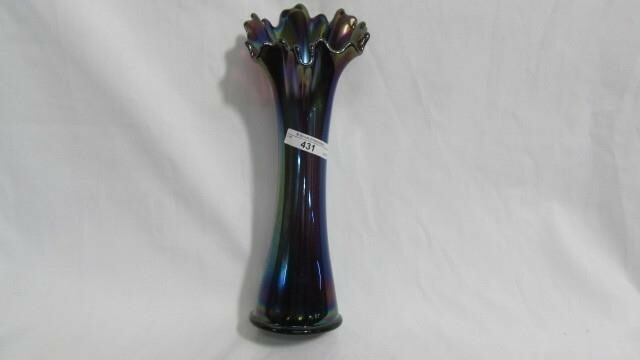 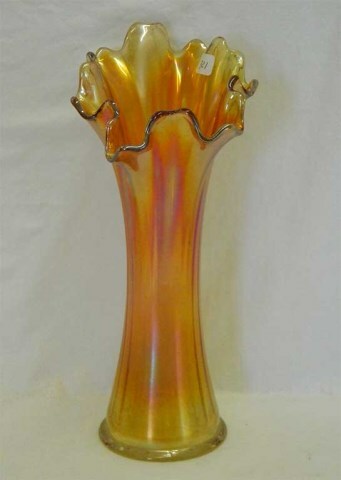 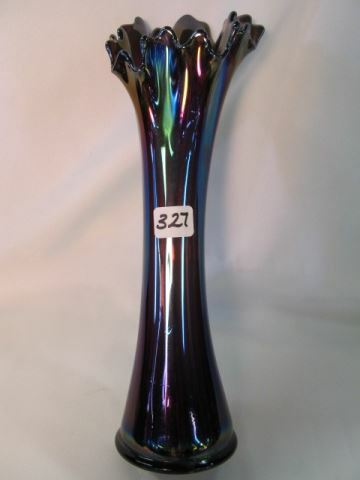 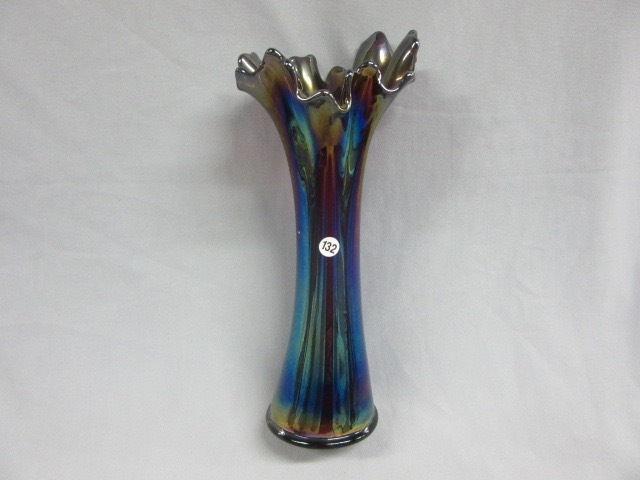 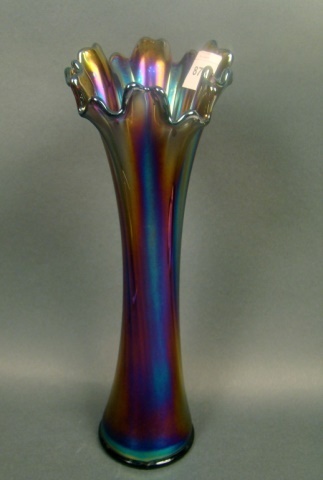 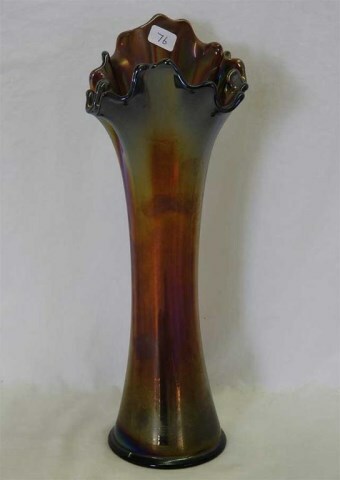 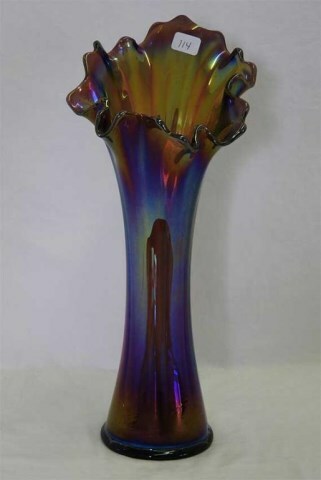 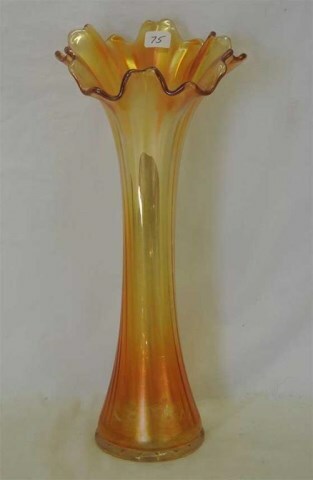 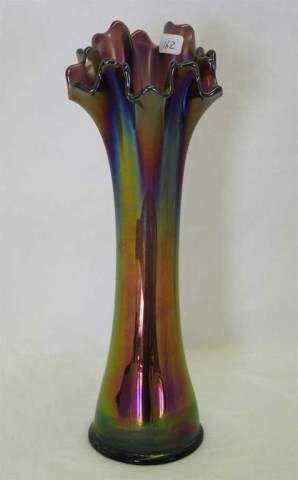 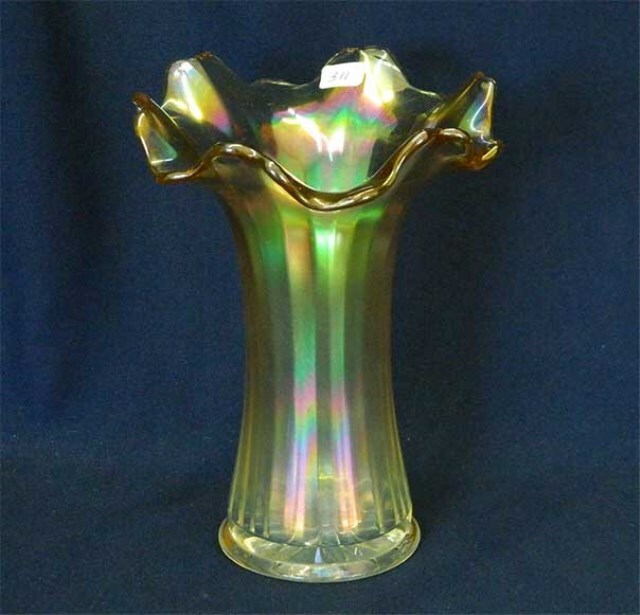 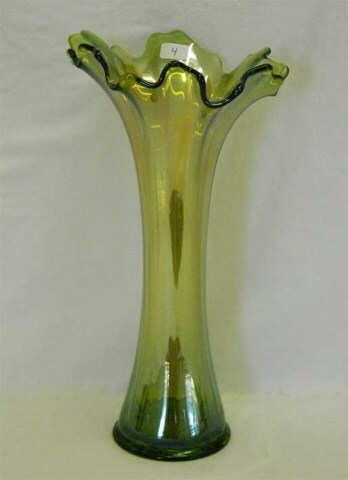 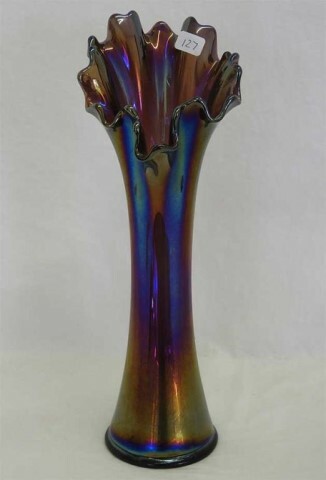 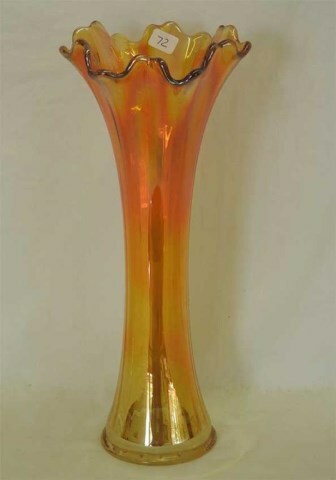 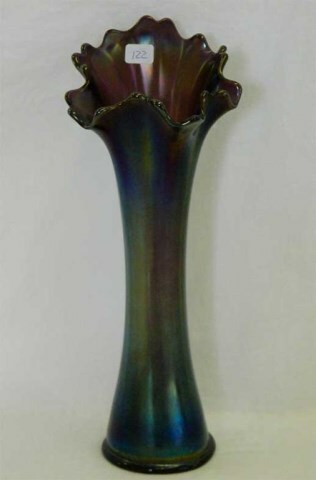 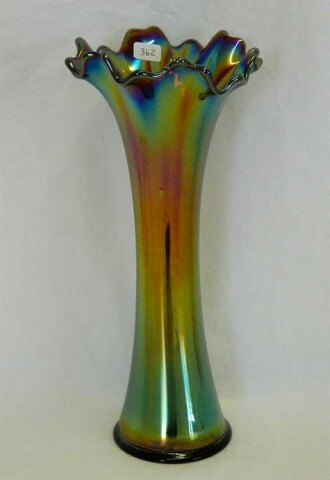 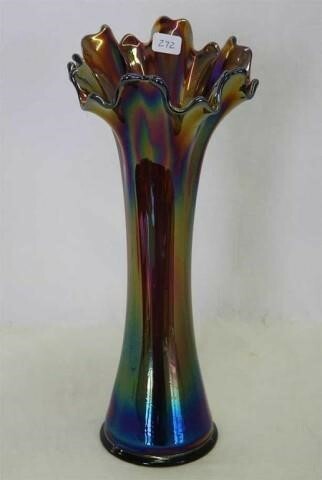 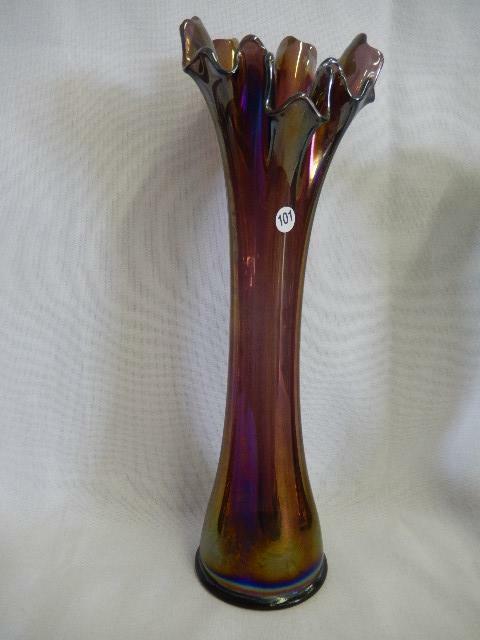 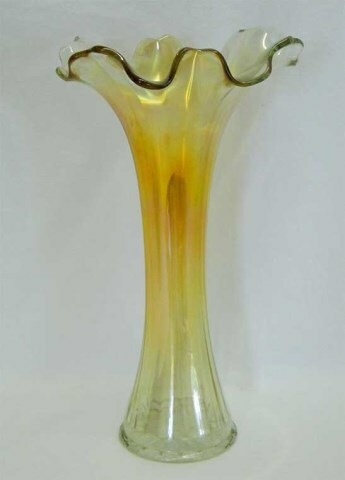 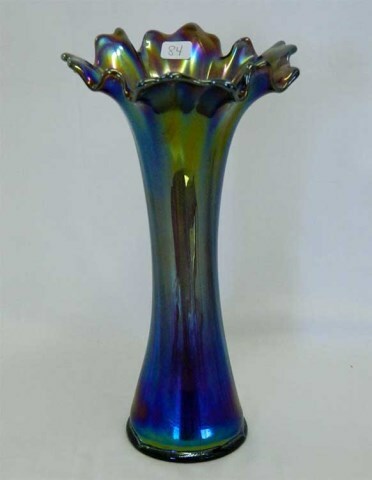 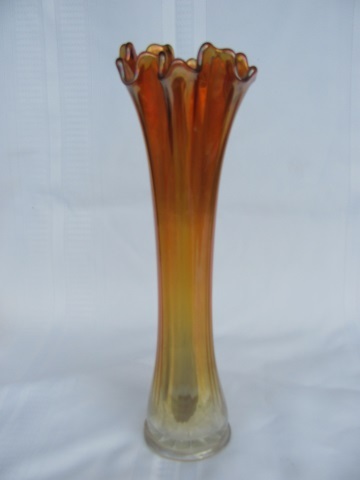 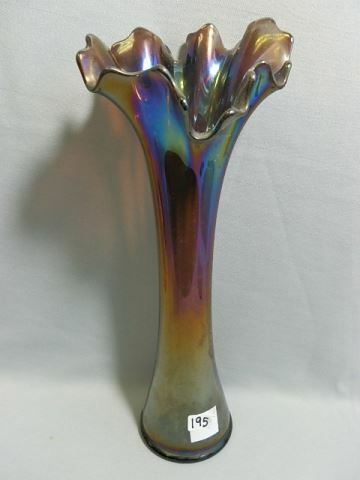 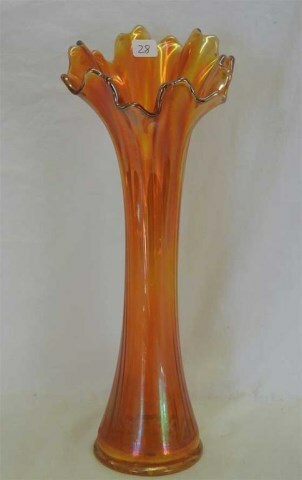 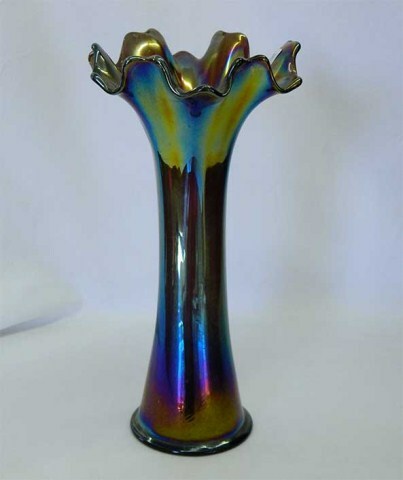 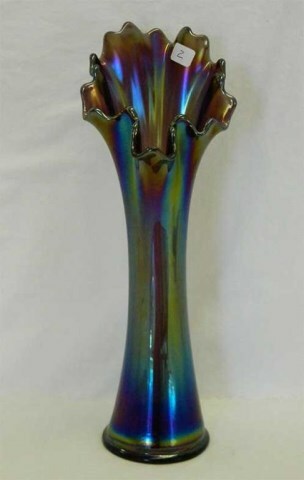 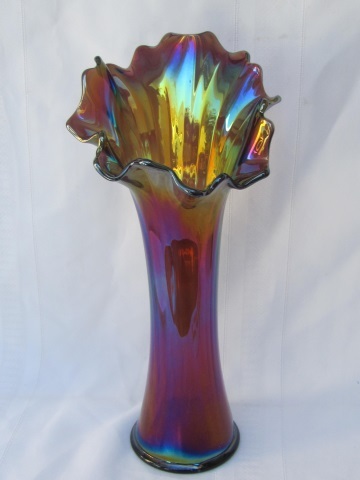 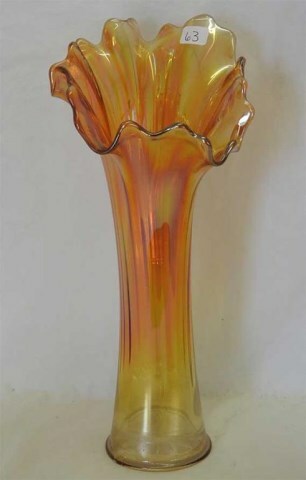 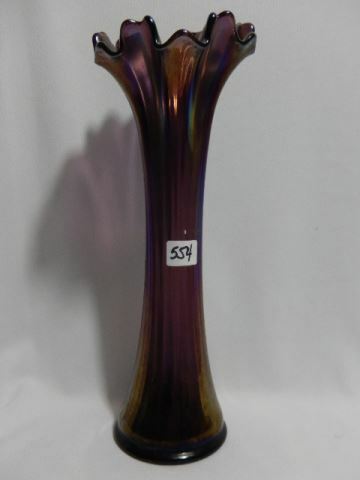 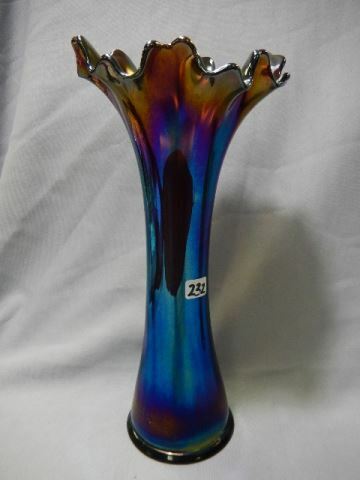 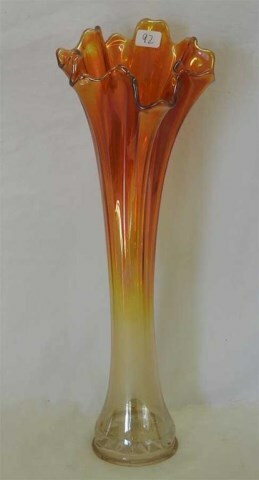 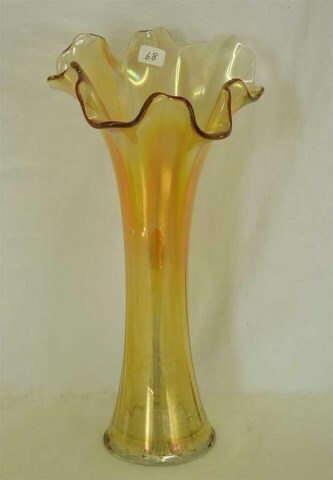 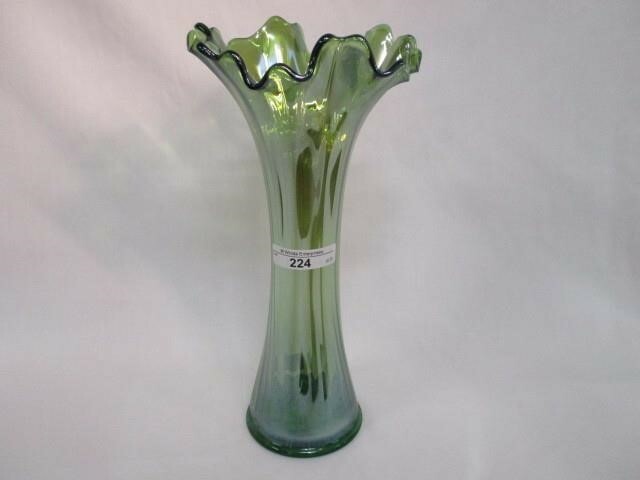 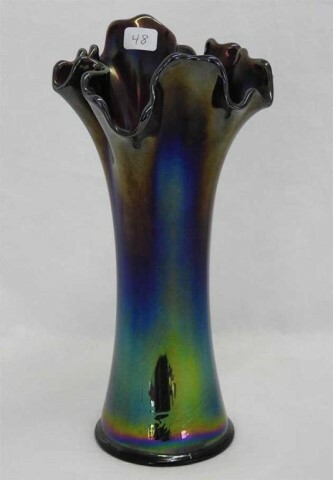 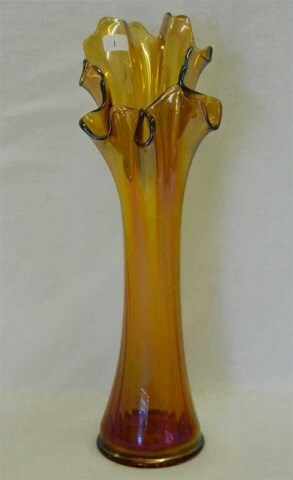 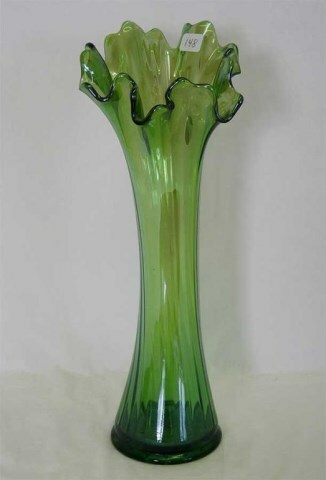 With this vase, it is the tops that are most distinctive, with no two quite the same. 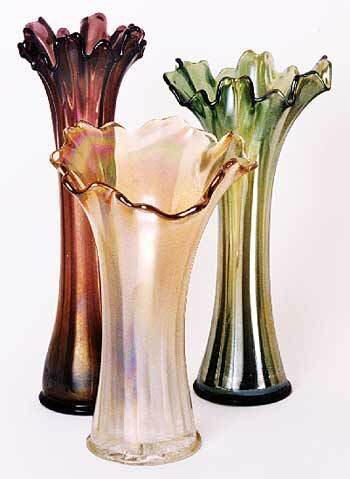 Yet all are strangely attractive and very floral-like. 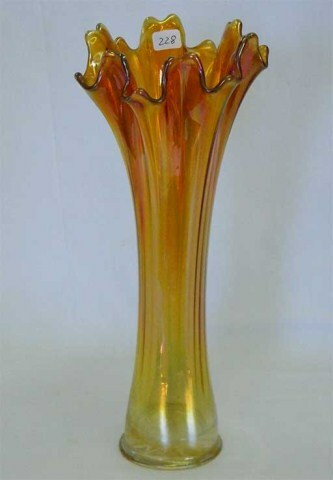 There are two base sizes; 2 7/8 inches with a 12-point star, and 3 1/4 inches with 16-point star. 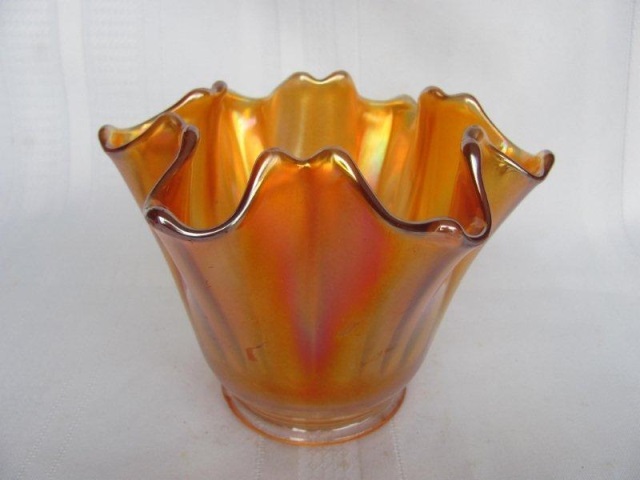 In addition to the colors listed, they are found in amber, clambroth, and helios. 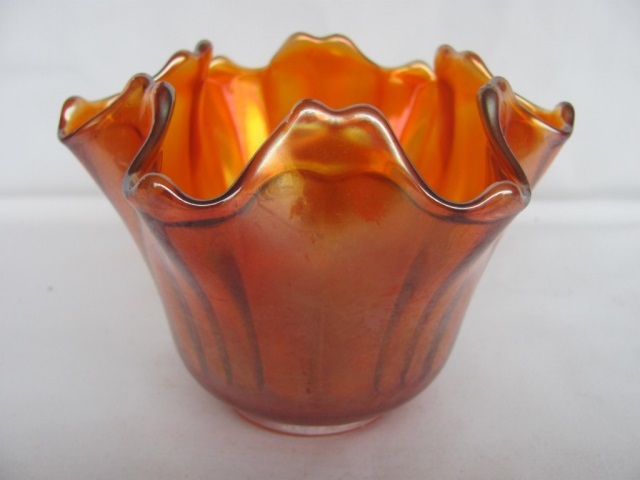 These are also found in very short versions, basically unswung, but ruffled.